Gladstone High School's new three-year partnership with the Oregon Shakespeare Festival will bring opportunities for teacher training, school performances, student workshops and student travel to watch performances. 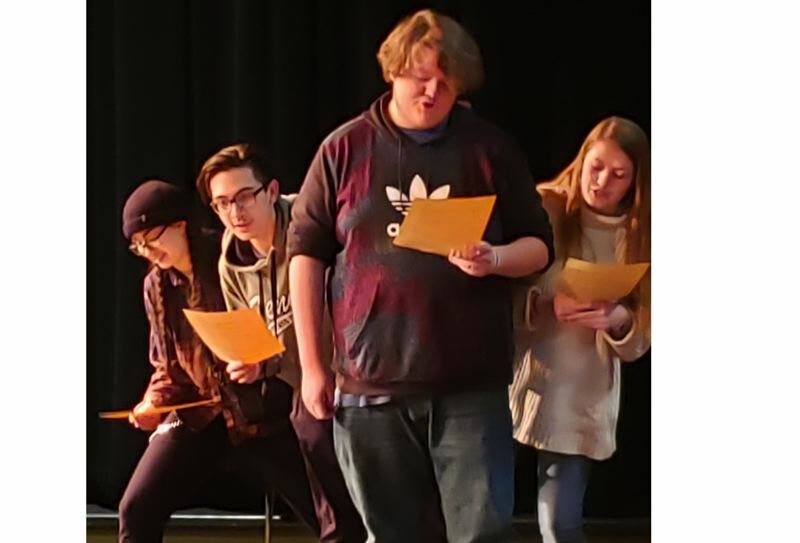 "Previously, I had written a grant for the initial school visit program, where two actors spend the day with students," said drama teacher Emmett Pearson-Brown. "On that day, our school was invited to apply for the partnership program, and seeing the amazing opportunities it could provide for the school, I jumped at the chance." Pearson-Brown and Siri Carlson will attend a weeklong workshop for English and drama instructors, including attendance at five OSF plays. The theater-based training will help them discover ways to make the works of Shakespeare exciting and accessible to students. Next year, the school will participate in three days of learning with OSF actors designed to expose students to live performances by one of the oldest and most respected theater companies in the nation. This fall, the teachers will work with OSF artists alongside English and drama faculty from the Gresham and Oregon City school districts. Together, they will find new ways to incorporate Shakespeare's plays into classroom learning. In the 2021-22 school year, OSF will provide a scholarship for 50 Gladstone students to visit Ashland to attend plays, tour the theaters and participate in drama workshops with festival actors.